The Ebola virus continues to spread in northeast D.R. 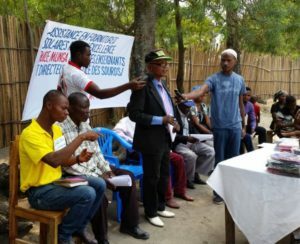 Congo, claiming over 850 lives since August 2018. If that weren’t bad enough, rebel groups are sowing seeds of distrust in the IMA World Health Organization, claiming that the virus doesn’t exist and is part of the government’s effort to control the region. In Butembo, violence has broken out against the medical teams and clinics working to contain the Ebola outbreak. Several clinics have been ransacked and looted, and are now closed. Although we don’t have any schools or churches in that area, there are at least 3 deaf churches in the Beni/Butembo area, and a number of deaf friends in the region have participated with us in our Gospel work in the Congo. Pray that they will be protected from both the virus and the violence. Director Nanza will likely have to find a new facility to rent in Bukavu starting this fall. The church where we currently rent space has suddenly increased the rental fees. The cost of living in Bukavu has gone up in the last year, so we’re having to reevaluate a number of agreements that we have in place, and look for a new facility. The church has a small parcel of land they are willing to sell us, but the current location is still a bit far outside of Bukavu for a permanent location. Our Bukavu school has gone through a number of challenges over the past few months. The Baptist church where we rent our rooms is asking for an increase in rent. One of our reasons for moving to this facility two years ago was the low cost, even if it was further from Bukavu. With the rent increase, it is now time for us to now reconsider the feasibility of our current location. Pray for wisdom as we evaluate our options. The Congolese Internet blackout of January resulted in a breakdown in communication between staff, directors and our USA office. For the most part, we were able to bear with it until the Internet was turned back on, but Satan used it as an opportunity to sow doubts, spread rumors and agitate fears among some of our staff. By the grace of God, and with direct intervention assistance from missionary Renee Lindquist, we were able to see confession, forgiveness and reconciliation among the staff. For those new to the Christian faith, it was an opportunity for them to witness Christ-honoring humility triumph over the usual pride and envy. Pray that the peace will be lasting. In Fizi, Director Shukuru Ramazani has just completed a trip through the Kivu region, visiting CMD schools in preparation for a first annual CMD Director’s Meeting next month. 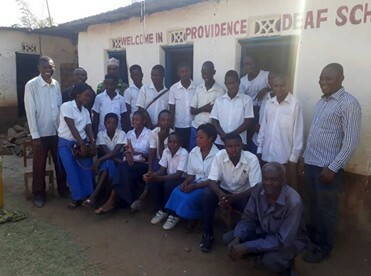 Pray with us that all 4 schools will be able to participate, and that travel concerns for our Likasi school (1300 km away) will not prevent their participation. Director Ramazani has received an offer from regional school official: If he’s able to raise the installation fee to connect to the electrical grid, they will provide our school with free electricity. Praise God for a wonderful opportunity. We’re praying that the parents of the students will seize the opportunity to pool together their resources to make this happen. Now that the presidential elections are over in the Democratic Republic of Congo and the dust has settled, the minister of telecommunications has turned the Internet back on, and we’re finally able to communicate with our school directors and church leaders. The Internet had been turned off for almost a month, so we’re thankful that full communication has been restored. When President Félix Tshisekedi was sworn in, hundreds of M23 rebels in the Kivu province laid down their arms in a show of support for the new president. It is the country’s first peaceful transfer of power since it gained independence from Belgium almost 60 years ago. Only the Lord knows how long peace will ensue, but for now, this seems to be a step in the right direction. Pray for continued peace. 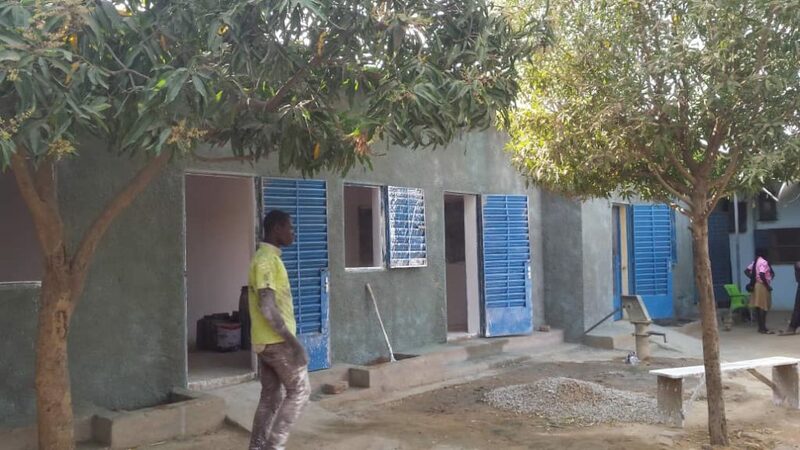 The first phase of reconstruction work in Chad is almost complete, and the staff are beginning to settle into their newly renovated spaces. Afrideaf Foundation donated enough funds to address several more reconstruction projects, so director Yves Beosso will have his hands quite full for some time to come. Pray for wisdom as we continue the work. We’re starting plans for our 2019 Congo Bible Camp, and will most likely meet in Bujumbura (Burundi). We’ll continue our study in Genesis, with plans to expand certain aspects of our pastoral training material. A couple of American teachers who are planning on coming have some health concerns, so pray that we’ll be able to get any necessary preliminaries addressed before we head out in July. As the year draws to a close, we see that God has done much through CMD in spite of a number of challenges. Clement Abonyi, a ’70s graduate from our Nigeria school, is the founder of AfriDeaf Foundation. They have donated funds and materials to both our Nigeria and Chad schools. The funds were immediately put to use for reconstruction and expansion. Praise God for these wonderful gifts! The Ebola outbreak in the North Kivu province of DRCongo shows no sign of receding. So far, 540 people have been infected since October 2018, and over 350 have died. Pray for the deaf living in the cities of Bunia, Butembo. Immediately after the December 30th presidential elections in the Congo, the Telecom minister shut off Internet access for the entire country, supposedly to quell violence. As a result, we’ve been out of contact with our school staff in Likasi, Fizi, Uvira and Bukavu . Pray for peace and a resolution to the elections. Historically, elections in the Congo are a time of widespread violence and civil unrest. As we approach the end of the year, we’re both humbled and excited when we reflect on how God has used you to help shape more deaf Africans into the image of our Savior. Our 2018 Congo Bible Camp took place in Bujumbura, Burundi, at the Ephphatha school for the Deaf. It was a good opportunity to reach out to deaf leaders who aren’t usually able to travel to our camp when we meet in the Congo. In addition to many of our usual Congolese and Rwandan attendees, we had five different Burundian cities participate, as well as a small group of pastors and evangelists who traveled 2 days from Lubumbashi (DR Congo) to make it to the camp. The theme of the week was “God’s Plan of Redemption from the Beginning”, and we taught from Genesis 1-11, showing how God’s redemptive plan throughout history connects with the rest of the Bible. Although our conferences are mainly geared towards church leaders, we had a few Muslims in attendance, and were thrilled to see one Muslim young lady come to Christ! Pray for Ramla as she begins her discipleship under the pastoral care of Israël Mungumwema. Lord willing, our 2019 camp will continue in Genesis, looking at Abraham, the Father of Our Faith. A few months ago we launched a university scholarship program to enable our teachers in Chad and the Congo to enroll in local universities. Participants are required to raise 20% of their own funds, and maintain high grades while continuing their teaching duties at school. So far, six candidates have signed up for the program. Although they are doing well, they face special challenges because the universities are not equipped to handle deaf students. Pray that they will handle the additional workload with grace. with the intention of using it for their own purposes. Although the property is still under construction, our staff immediately moved to appeal the decision, and was able to bring public attention to the situation. Losing this property would have been a huge blow to the growth of deaf education in Nigeria, so we praise God that the government rescinded its decision and returned ownership of the property back to CMDN. We praise God for increased enrollment at our Bukavu school. We’ve added Fabien Morisho to the staff. He’s a friend of ours from Goma, and a gifted deaf teacher with a passion for Christ and deaf education. 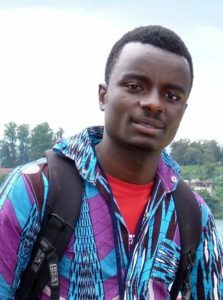 With limited funds and no long-term support, he felt led to travel to Bukavu because he heard the deaf church there had education and spiritual needs. The timing was perfect, as we had just begun looking for a deaf person to add to our school’s faculty. Now his teacher’s salary enables him to teach children at the school and minister to the deaf adults at the church. The downside to this is that the cost of living continues to increase in Bukavu. Our school is feeling the pinch, and several of our co-workers are finding it difficult to make ends meet. Pray for us to have wisdom as we devise ways for our school to navigate the hurdles of increased rent, increased food costs, etc. Historically, our Uvira school has concentrated on primary education, but this year, we’re thankful that enrollment of secondary students is at an all-time high. Pray for director Pililo as he and his staff continue to train up the next generation of deaf leaders. A growing concern for our Congolese schools is the lack of electricity. Many homes and small businesses in the Kivu province can’t afford to be connected to the city’s unreliable electric grid. Instead, people with minimal electrical needs go to ‘charging kiosks’, where for about $1.00, they can charge up laptops, tablets and phones. As solar equipment continues to become more and more affordable, homeowners are installing mini solar powered systems. The initial costs for such systems can be as low as $400, with no recurring costs, minimal maintenance, and better reliability when compared to city electricity. Pray for wisdom as we continue to explore these options for our three schools in the Kivu province. Pray for peace as national elections are now underway in the DR Congo this Christmas season. construction at our Toukoura property, allowing one of our staff families establish a small farm there. 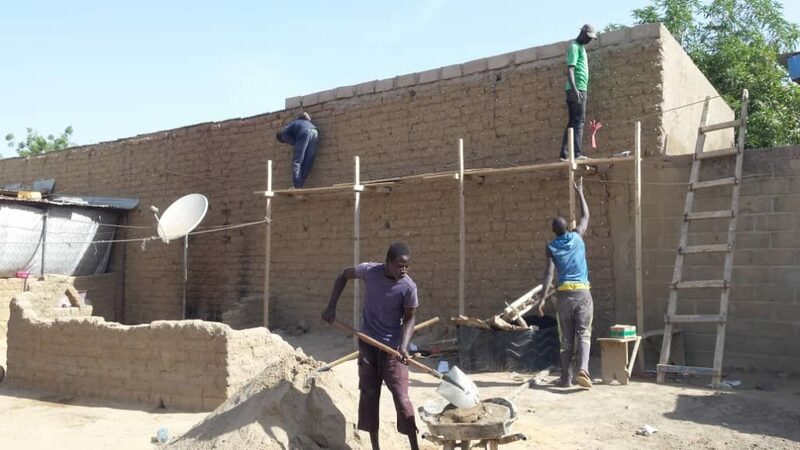 In the mean time, ongoing repairs are needed at the N’Djamena property, near the country’s capital, and God has graciously allowed Clement Abonyi, a Nigerian friend living in the USA, to help us with his fund-raising efforts. Director Yves reports that repairs and construction are now underway. Praise God for His faithfulness! We have five staff members in Chad and one in the Congo who have been able to enroll in local universities to further their education. Their scholarship pays for 80% of their school costs, but on their limited salaries, even the 20% is a bit of a burden. We’re optimistic that they will be faithful students, but do keep them in their prayers as their studies are an additional burden to their current job duties. In April 2019, Lord willing, our Congolese school directors will be meeting for our first Congo Director’s conference. This will be an excellent opportunity for our school directors to get to know each other, and also to discuss various methods, practices and procedures for managing a deaf schools and churches. Pray for Shukuru Heritier, our newest/youngest director, as he plans the event. Pray that the meeting will be a great success as our directors work together to train up the next generation of church leaders. The largest Ebola outbreak in underway in the north Kivu province of the DR Congo, with 167 lives lost since August. We don’t have a school in the region, but there are several deaf churches there, and a number of our deaf friends are in the affected cities. Pray that the outbreak will be quickly contained. attendee of our Bible camps. He’s the first deaf staff member for this school. We’re praying that he will be an effective teacher, and a vibrant liaison between our school and the existing deaf community in Bukavu. Pray for direction as we seek to move the school closer to the downtown area of Bukavu. In Chad, Director Yves reports that the university students’ strike has had a significant negative impact on the government of Chad. Last week, a rioting mob of university students came to our deaf center while school was in session, demanding solidarity with their strike. They threatened to destroy the school’s gate and beat the students to force them to stay home, just as they have done at other private schools. Praise God that their plans came to naught, and they eventually dispersed. Thankfully, a temporary provision was signed by the government a few days ago, allowing for some tranquility till January. Pray for peace and security in these uncertain times. The 2018-2019 school year is off to a healthy start in Nigeria, Chad and the Democratic Republic of Congo. 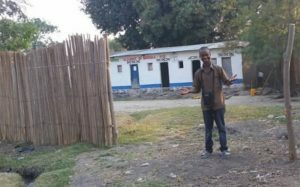 Summer construction and renovation projects are nearing completion: In Uvira, Director Pililo has had to rebuild the toilet facilities. 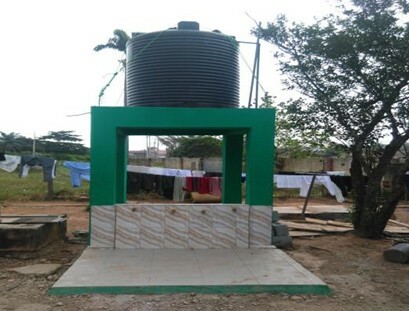 In Fizi, Director Shukuru has completed preparations for their newly rented facility, and hosted a grand opening-day ceremony, with local dignitaries in attendance. Pray with us that these improvements will serve the deaf well. We’ve started a new program where we offer financial assistance for some of our senior faculty and staff to pursue higher education at local universities. So far, we have about six people in Chad and the Congo who have submitted applications to take advantage of this opportunity. It is our prayer that their continued education will improve the quality of their teaching and administrative duties as they work to bring education and the Gospel to the deaf. Our Fizi school is now renting space in a larger facility, and ready to begin the 2018-2019 school year. 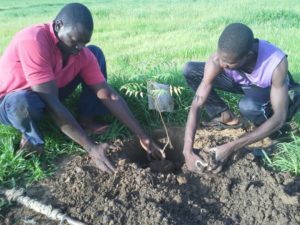 Director Shukuru Heritier has visited Burundian refugee camps in his region, and paved the way for deaf Burundian refugees to enroll in his school. Pray that the remaining logistics will be ironed out soon. In Uvira, we’re having to do some extensive renovations to the school building. Pray that we’ll be able to complete the repairs before school starts. 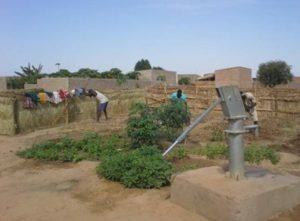 At our new school property in Chad, the newly installed water pump has been put to good use irrigating the small farm, resulting in a bountiful crop.